Hungary - Hungary is caught in crossroads of history of Eastern Europe. It's been repeatedly conquered throughout its 1100 year history, by the Turks, then the Habsburgs, then the Nazis, and finally the USSR, and several more I haven't mentioned. 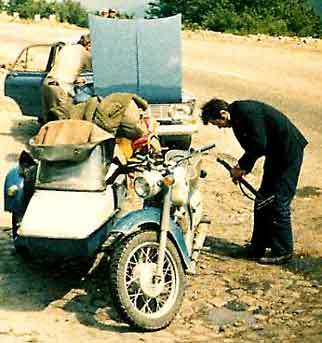 I first visited Hungary in Europe in 1973, hitchhiking from Vienna to Budapest, all in one ride. My hosts were an importer of consumer goods such as wine and his wife. They told me in perfect English that when we reach the Communist border to say nothing and stay in the car. When we reached the first guard post, I did what I was told, which is to do nothing. I did it quite well, honestly. It was all too exciting, because it was dusk and the searchlights at the control post were blinding. They took my passport, presented it to the customs official in a building, while I stayed in the car, wondering what the hell I was doing here. But there's no turning back, no sudden movements; I didn't do a damn thing. It seemed like hours, but it was probably just a few minutes. My hosts returned to the car, without any scowling Communist guards. I was deeply relieved. We drove the rest of the way through the border crossing without incident. We were extremely quiet. I now know what it's like to be imprisoned in my own country. At least, I got a taste of it. Surprisingly, the rest of journey to Budapest was quite pleasant. The countryside in Eastern Europe is gorgeous. My hosts cheered up and became quite animated. After all, they're back in their own country, and they were very happy about it. The husband apologized for the inconvenience of the border crossing in Eastern Europe. I tell them it wasn't their fault. It was the Communists'. We talked about history of Hungary, past and future. They hated the Communists but said they're very lucky. There is more freedom in Hungary than any other Communist country in the world. The evidence, of course, was that they are allowed to trade directly with the west with a minimum of rules. They dropped me off at a giant campground in the middle of Budapest that holds thousands of campers. It was a holdover from World War II, when all of central Europe became a massive campground of displaced people. The history and beauty is still here in Eastern Europe. I returned in 1999 to find a country completely healed and ready to show off its wonders. A trip to Hungary is an awesome experience. See how they changed things for the better. Czech Republic - The Czech Republic contains one of my favorite places in Eastern Europe, Bohemia. The name itself evokes fun, adventure and a good time. Bohemia lies in the western part of the country and includes historic towns, world's best breweries in Plzen and a magnificent capital, Prague. For me, one of the prettiest villages is Ceský Krumlov, located in the southern forests at the German border. Perched above the town in the middle cliff on a horse shoe bend in the river is spectacular castle, the second largest in the country. It sports a magnificent tower near the end of the cliff near the bend in the river. On the other end the castle houses one of the last two remaining functional medieval theaters in the world. They normally used so many candles during their performances that they were constantly burning to the ground. During the tour of the theater, we are shown many of the functioning medieval mechanical systems used during the performances. I volunteer to play prop man and operated some of the mechanisms. I change backdrops at a pull of the lever, make Roman ships rock, and thunderstorms blow. A crack of thunder sounds as I smash a hammer onto sheet of metal. Create your own adventure in this magical country! Slovakia - Slovakia is the little sister of the Czech Republic in Eastern Europe. They both used to be together in one country named Czechoslovakia. But Slovakia thought it would be better by itself in 1993. It is the least tourist-ed of Eastern Europe, which makes it a perfect destination for me. I visited in 1997 on my way from Budapest, Hungary, to Krakow, Poland. I can say I left my heart in the Vysoke Tatry, also known as the Tatra Mountains. Wild and undeveloped, it is a destination for hikers, skiers, and nature lovers like me. The High Tatras is one of the smallest mountain ranges in the world. You can hike here all the way to France, from hut to hut, and never leave the mountains. Slovenia - Slovenia is the little sister of Austria located in Eastern Europe. Its history is almost as grand and is a lot cheaper. 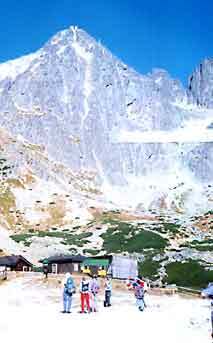 The northeastern section is hidden in the Julian Alps, named for Julius Caesar. This is where the world-class ski resort town of Kranjska Gora is located. In the summer nearby Triglavski National Park contains undiscovered valleys with lots of wonderful hiking trails and spectacular vistas. It's the Alps without the expense and the crowds. A whole generation was lost to the killing fields of WWI's second front. They are now found buried all around the Julian Alps as testimony to the harsh fighting and terrible conditions of full out mountain war. The totally destructive, yet stagnant trench warfare was taken in its entirety from the flat, muddy plains of France, placed vertically on its head, and transferred here to the Julian Alps. From May 1915 and November 1917, twelve major battles were fought between the forces of Italy and the Austro-Hungarian Empire. An estimated 300,000 to over one million soldiers and civilians died here. Now it is quiet, peaceful and incredibly interesting. Just below the mountains is the enchanting Lake Bled (picture), one of the grandest locations for a mountain spa in all of Europe. Old-fashioned boats with canopies called pletna are filled with tourists. They are hand rowed (no motors allowed) to an island and the foot of the stairs leading to the Cerkov Svetega Martina or St. Martin’s Pilgrimage Church. Its quaintness and romantic ambiance conquers all who visit. Slovenia feels like an old-fashioned Austria to me. I highly recommend this less expensive and very friendly country. Croatia - Croatia is the best of the Communist bloc countries in Eastern Europe, definitely the prettiest. It now advertises itself as "the Mediterranean as it was." It is very cosmopolitan and easily caters to thousands of tourists. Conquered and reconquered throughout the ages, it has no trouble dealing with strangers. I visited this gorgeous country in 2005. The Istria Peninsula is a virtual copy of the Italian coast without the horrible crowds and high costs. It's a wonderful place to drive through. I continued on to the captivating Croatian Islands, taking the ferry from island to island. The island chain reminds me of the coast of Alaska. The place is devoid of buildings and roads that I could see from the boat. There is hardly any development to speak of. Each island has its own personality. Windswept, barren typifies one island. Forested with rocky outcrops describes another. Romania - Romania is famous for its fortified towns in Transylvania, located deep in Eastern Europe. It's complete with hilltop castles including Poenari Castle. This was the main fortification of Vlad III the Impaler and is marketed as the mythical home of Bram Stoker's Dracula. I once visited the city of Cluj, capital of Transylvania. I was surprised to hear exactly the same dialect of German that I learned in southern Germany. During the Thirty Years War (1618-1648), one of the most destructive wars in European history was mainly fought that southern area of Germany. In order to survive, whole towns and villages simply took all their possessions, left Germany and moved to Cluj, where I discovered them. To this day, their communities remained completely separate from the Romanians. Romania's coast on the Black Sea was once considered the Communist Rivera. I met several Communist youths on their way there to play in the sun. It's still a great place to visit to sample its unique wines. I never did get there, and it's top on my list of places to visit in the future. Bulgaria - Bulgaria's wonderful Black Sea beaches, stunning mountains and splendid monasteries make an inexpensive Eastern Europe destination for art/nature lovers and sun worshipers. It is the home of Russian Cyrillic writing, which makes for advanced traveling. If you can brave signs with backward R's, the rewards are tremendous. Villages like Koprivshtitsa sport wood and stone cottages in a most fragrant Valley of Roses near the capital of Sofia. Monasteries throughout Bulgaria contain hundreds of frescoes and allow visitor to sleep over in spartan lodgings. As I traveled through Eastern Europe on the way to Turkey, my ability to communicate with the locals became less and less. In Hungary, I found almost no one who spoke English. In Romania, I found less and less people who spoke German. In Bulgaria I could hardly read the writing and was reduced to sign language. It got so bad that one time I was asking directions by pointing at map and nodding my head yes. The man, I asked, shook his head "no." I repeated a few times and got the same answer. All of a sudden, I remembered that Bulgaria is right next to Greece. In Greece, shaking your head right and left means "Yes!" This looks like a no to my Western eyes. And nodding your head up and down with a click of the lips means "No!" which is oddly close to our Yes. We were both saying yes and didn't realize it. I just laughed! Great travel has its frustrations, and it's much needed comic relief. With all my communication skills completely fallen apart, I was reduced to dead reckoning as a way of navigation. I figured if I kept going south, I had to reach Greece or the Mediterranean Sea. What a trip. I wished I had spent more time in this country. Turkey - Turkey is my favorite country that lies in both Eastern Europe and Asia Minor. It's definitely advanced travel, but well worth it. Its history is almost everyone's history. Turkey has influenced both Eastern and Western cultures. Here the Hittites ruled the known world alongside their arch enemies, the Egyptians. It was the lifeboat of Christianity during its first two centuries. 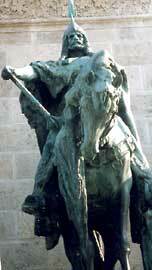 It became the focus of the Roman Empire in Constantinople after Rome fell. 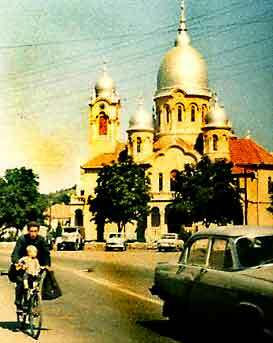 It became the center of the Greek Orthodox Church for hundreds of years. The Seljuk Turks took over in the 11th century. This lead to the fall of Constantinople in 1453 and the beginning of the Ottoman Empire. This lasted to World War I, where it met its defeat and demise. Modern Turkey began with Mustafa Kemal (Ataturk) and lasts to this day. "You have got to see this!" was the only thing she whispered. I got up, and looked over the balcony of the roof to a magnificent sight. To the left the immense Hagia Sofia church glowed brightly red in sunrise. Topkopi Palace was outlined by the rising sun in front, while to the right the Blue Mosque with its six towering minarets shone brightly. What a scene! We gaped, open mouthed, as the sun began to warm our roof top home. After a particularly dusty and dirty trip through Eastern Europe, I welcomed the Islamic concept of cleanliness. I visited the Turkish Baths for a two hour sauna, wash down and massage that more than revived me and bolstered my spirits. The next day I was ready to explore the wonders of Istanbul and so should you. TURKEY TRAVEL GUIDE - Where to go, what to see and do in Turkey: Istanbul, Antalya, Ankara How to travel to, in and around Turkey by air, bus, train, car. 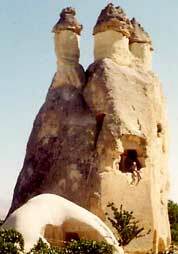 The best itineraries, city and country tours and excursions for Turkey.